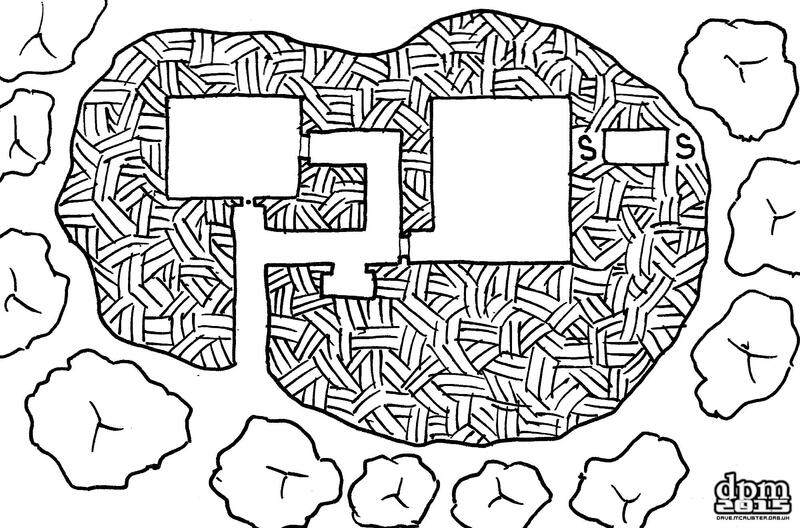 This week’s map is a burial mound. At least, that was its original intended use. Alterations appear to have been made to at least one part of the area as the passageway at the end of the entrance has been narrowed and bars put in allowing guards to have a clear line of fire at anyone entering. Likewise, a secret escape tunnel has been added. Are these the additions of local bandits or something worse? Previous story [Friday Map] Yet Another Cavern with Underground River!